Enter the world’s most trusted solution, since 2008, for attracting leads, sign-ups, and sales for marketing beginners, home businesses, entrepreneurs, and network marketers. I was totally burned out trying to build a successful business online. I had wasted many years and thousands of dollars trying to figure out how people were making, literally, millions of dollars from their laptops. It became an obsession for me to answer these questions. What were they doing, and how were they doing it? It was a major conflict. On my side, I had a lifestyle dream that I knew could never be achieved from within a cubicle. And from the other side, I felt pressure from my friends and family to give up, get a job, and join in with the rest of the flock. But life is short, and history is filled with stories of great struggle and success… why should I be denied the choice to fight for what I believe in? Why should my dreams be suppressed? And why should I be taking advice from people who hate their jobs, and their current situation in life? I desperately needed to figure it out, and fast. Then, I got a lucky break… or maybe it was just the result of not giving up. Here's a company that was built by people like me who had experienced years of struggle simply trying to reach their life dreams, and fulfil their potential. They saw a need, and they set out to become the best at giving beginner marketers and entrepreneurs the tools and training they need to grow their business like a pro. It's a step-by-step, professional marketing tools and training system for home businesses, entrepreneurs, network marketers, and beginners. 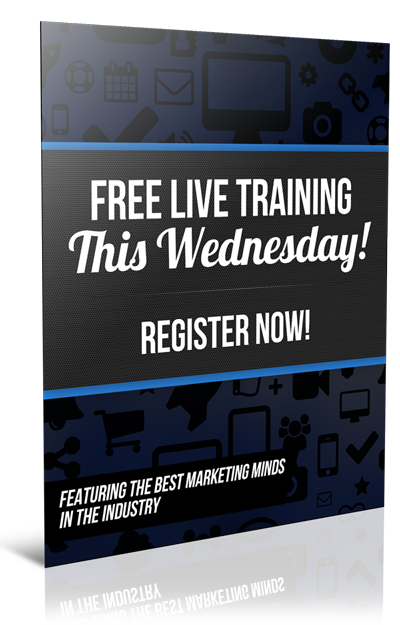 What surprised me the most about their training system, outside of the superior training, was that over the years I had learned about many top online marketing millionaires, and now I had discovered where they got their start. And even better, they're also the ones who built the community by teaching and sharing exactly what they do to make millions from the internet. Whether you are new to online marketing, or struggling to figure it out, the real question becomes what are your goals, what is standing in your way, and what are you willing to do about it. Maybe I was doing it all wrong at first, but at least I was doing it.